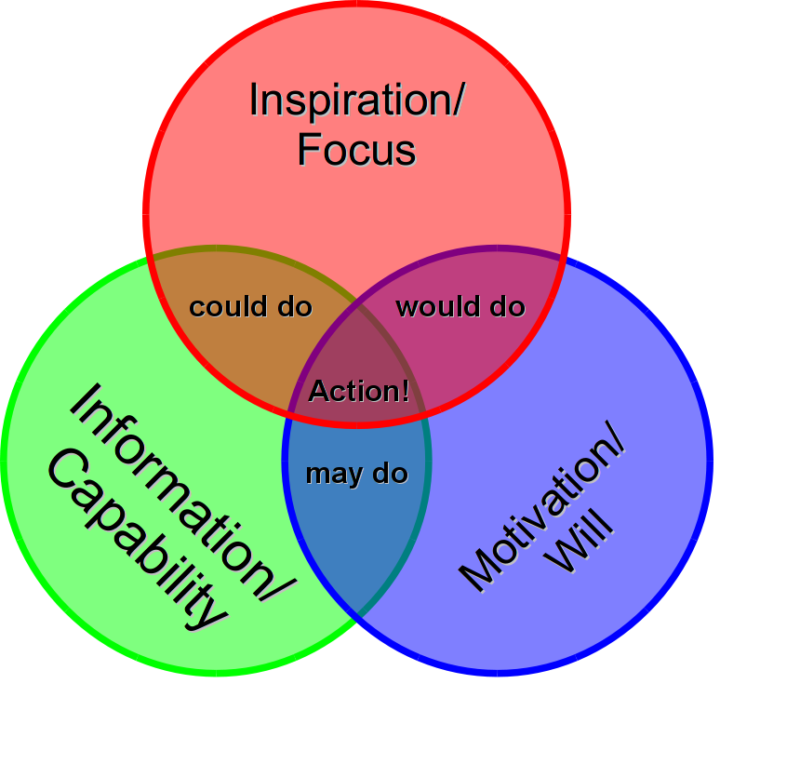 During a course on “Self-Management Leadership” I was told the three requirements of actions. No having an explicit name I call it myself the “Trinity of Action”. The simple graph looks like the one below. This requirement is about an idea. One needs an idea what can be done and needs to focus on it. If there is more than one idea and we switch permanently. We will not get finished or with lousy results. If the inspiration is lost, we may do something, but we do not know what to do. We are motivated and capable, but we need a direction. If an idea is available, we need some more information to implement it and the capabilities to do it. The best idea is worth nothing as long as we do not really no what and how to implement it. If the capability is missing, we would do it, but we are simply not able to do it. The last requirement is the motivation or will. We might have an idea and we might have the capabilities, but if there is not motivation in form of requirement for example, we could do it, because the current situation will allow it, but if there is no need to, we save the energy of implementation. The model is a good to describe the behavior of people. It’s also handy to find out in processes why people do not perform and what can be done to help. It just needs to check the conditions mentioned above and to find a way to improve the week points.